Snowdrop Wood is a very new woodland, only about 40 years old. Some sites have had woodland present since at least 1600 AD. These woods are known as ancient woodland. Some plant species prefer the conditions of old woodland and are less common in new woodland. They can be used to help identify ancient woodland. These species, such as wood anemone and harts tongue fern, are known as ancient woodland indicators. 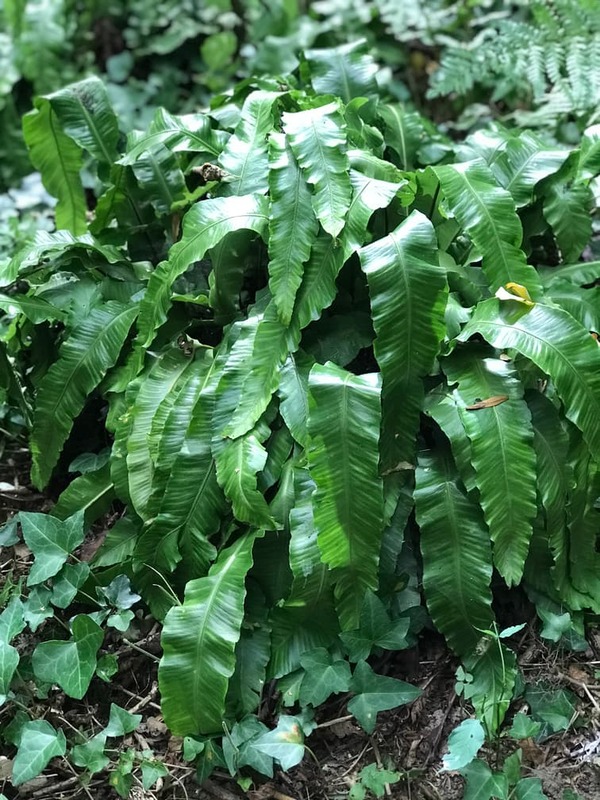 Can you spot the nearby harts tongue fern? Other factors also influence the species found in a woodland. Indicator plants are therefore just one clue to a woods history.